Case can hold two full face helmets. For additional passenger comfort, the Top Case Backrest may be purchased separately. All SHAD® top cases cotme with a universal mounting kit that allows mounting to ANY bike that already has a rear rack. 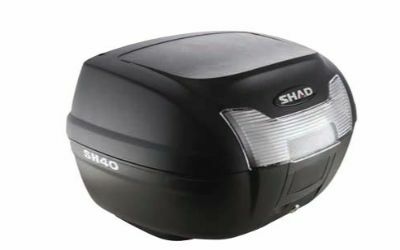 If it does not have a rear rack or an accessory rear rack, then it is necessary to buy a SHAD® mounting kit (available from SHAD®).